I usually get to work every morning of a work day around 5:30am. I go this early so as to beat the heavy morning traffic and get a choice parking spot at work (some of the hazards of living in Lagos, Nigeria). The upside is that I use these wee hours for blogging (in recent times) and generally getting prepped for the day so it all works out. My place of work actually closed for the year yesterday, to resume January 4th 2016. Although, some of us have to pop in every now and then to oil the wheels and keep the engine running. I know, right? It's just awesome. How's it going at your end? Shutting down for Christmas? 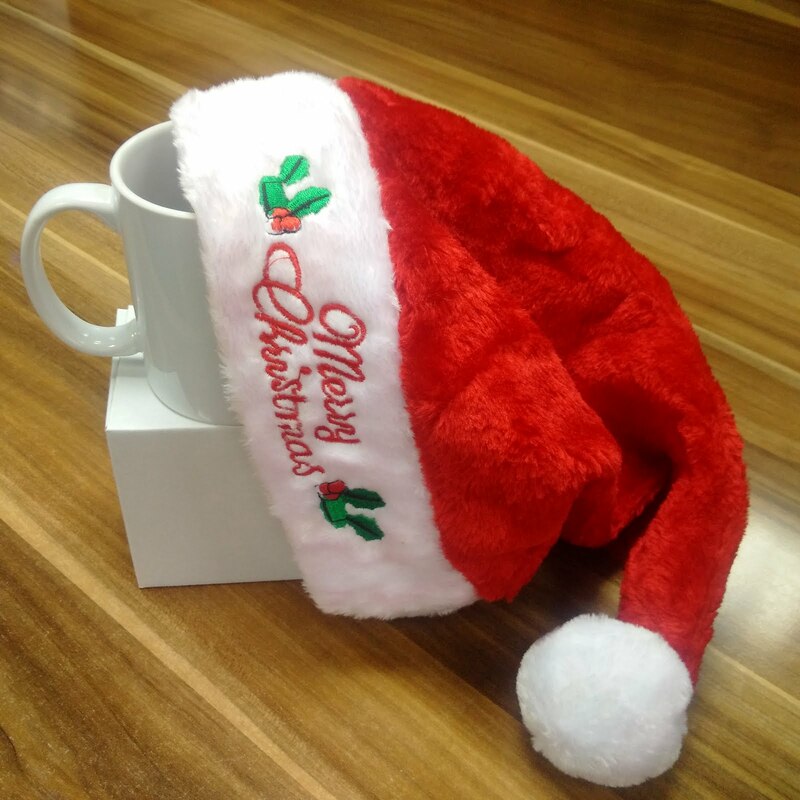 This past Monday, I arrived at the office and noticed that cute Mugs and Santa hats had been placed on my desk and everyone else's. How cute is that? My place of work is so posh. Every once in a while they randomly do all kinds of cute stuff. I immediately donned my hat and I'm sure you know what came next - selfies! As it turned out, there was a selfie competition - The Ultimate Poser Challenge - in which 7 winners were rewarded with the prize of an Amazon Kindle for each winner. My former place of work did cute, healthy, competitive stuff like that too. I remember winning 3 high-end devices and a N70,000 shopping voucher while I was there but that's a story for another day. Lots of other exciting things are happening to me this holiday season. Remember my Sister Queen I mentioned in an earlier post? Click here if you missed it - The Famous Five! (Nigerian Version). 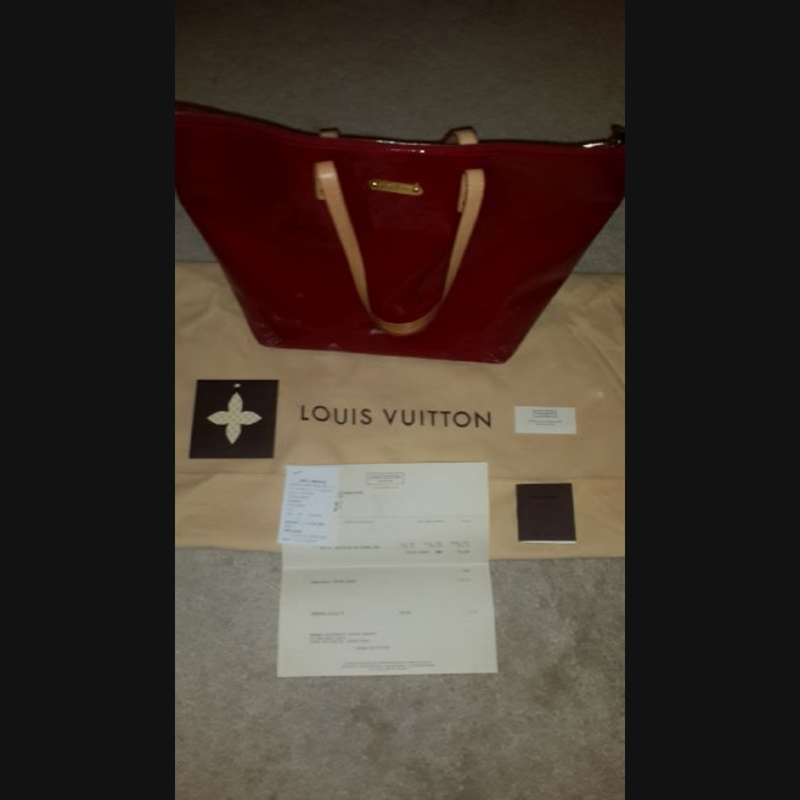 She got me an early Christmas gift while on vacation in Paris - A Louis Vuitton handbag! I can hardly wait for it to arrive. I'm super excited! Having big sisters certainly has its benefits. I look at this picture of the bag like every day. Thanks a lot Queenie. Love you to the moon and back. There's been lots of fun birthday and end-of-year parties, loaded with all kinds of edibles. There was a high School reunion which I couldn't attend. My team at work had a fun get-together and bonding session to mark the end of the year. I've received several invitations to carols and Christmas parties. Whew! Now, I have to be extra-careful with what I eat and so should you. Focus more on portion control for now, than on avoiding certain foods because I know outright resistance will be difficult with all the festivities going on and #YOLO right? Have you received any early Christmas gifts? Are you hoping for something in particular? A car? A phone? An engagement ring? Have you been dropping subtle and not-so-subtle hints? Are you giving out any gifts? Happy holidays everyone and don't forget to drink lots of water. I haven't received anything yet o! My place of work doesn't do cute little gifts, obviously! And nobody anywhere has sent Christmas gift o! Mehn I tire o! BUT... you could break this chain o! Send me a gift abeg! Aww, that's just sad. Everyone should get a gift. Let me know how to reach you and you'll get a lil' something from Girlfriends. Aww, sorry doll. That must be hard, but I'm guessing there's a juicy pay in there somewhere, yes?